Fennel is a member of the carrot family, but it tastes nothing like those sweet roots. In fact, fennel is found in large green bulbs that have prominent notes of licorice and anise. 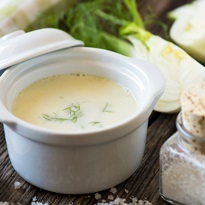 That flavor lends itself well to this creamy fennel soup, and compliments the herbs, onions, and garlic nicely. 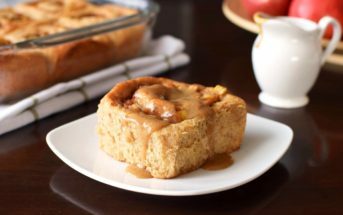 The recipe was originally shared with us by Pacific Foods. 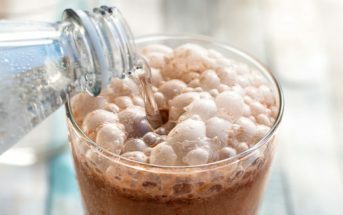 They serve it chilled, but we think it would also be delicious warm. 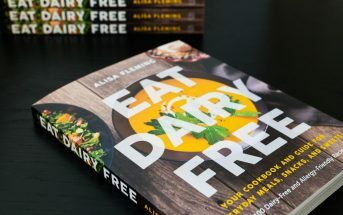 By ingredients, this recipe is dairy-free / non-dairy, egg-free, gluten-free, nut-free, peanut-free, soy-free, optionally vegan, optionally paleo, and vegetarian. This warm weather soup is served chilled, but we think it would be delicious warmed, too. In a large, heavy pot, heat the buttery spread or oil over medium-low heat. Add the onions and garlic and saute until soft, about 5 minutes. Add the chicken broth, fennel, and parsley and bring the mixture to a boil. Reduce the heat to low and simmer for about 20 minutes, or until the fennel is quite tender. Carefully pureé the soup in batches in a blender or food processor or with a stick blender. Stir in the lemon juice, tarragon, salt, and white pepper. Chill the soup in the refrigerator. 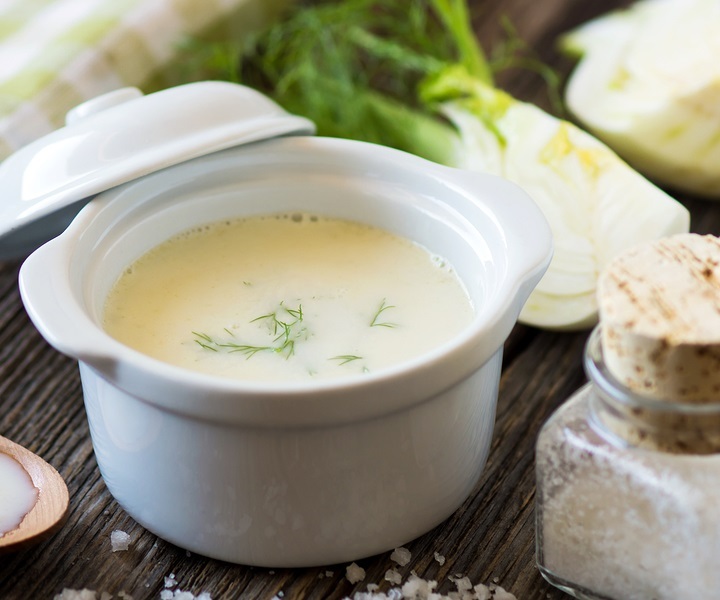 Before serving, stir in the milk beverage and optionally garnish with the fennel fronds.